The Colorado Rockies have stunned the baseball world with their impressive 13-6 start to the 2017 season. 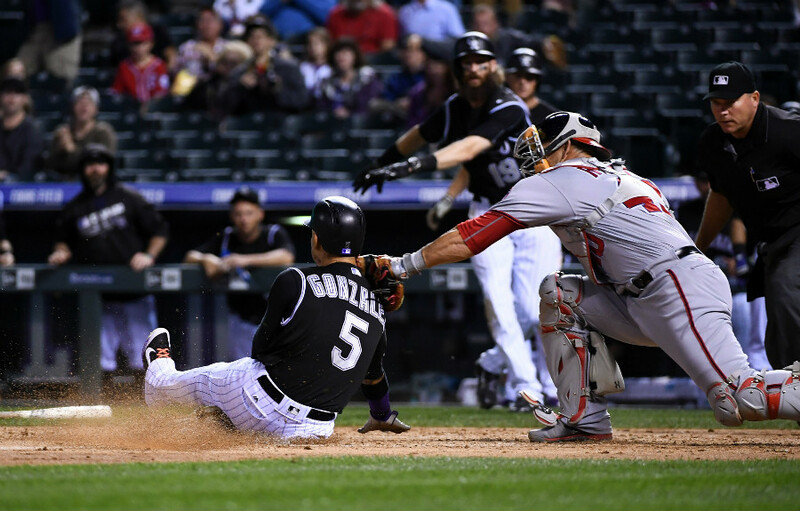 Collectively, the Rockies have played well in every aspect from the get-go. The Rockies have already managed to beat aces Clayton Kershaw, Madison Bumgarner and Johnny Cueto this year, along with owning series victories over each player’s respective club. With a National League-best 13 wins and an early four-game lead within the division, the Rockies are brimming with confidence. The Rockies pitching staff has been exceptionally solid and durable to start the season. That said, Colorado’s new offseason acquisitions and minor league call-up’s have all driven the Rockies to the second most wins in the NL with 12. That, mixed with their combined era of 3.79, are reasons why Colorado has been one of baseball’s best clubs to open the season. Colorado’s offense has also picked up their production which has led to momentum throughout the entire lineup. In the last seven days, Colorado’s offense has been cranking the ball, owning an NL-best .270 team batting average to pair with collective OBP of .323. While the Rockies have reigned supreme thus far, their first real test lies in their next opponent, the surging Washington Nationals. Washington will enter the three-game set in Colorado, winners in eight of their last ten, and fresh off a sweep of the New York Mets. Jointly, the Nationals have been one of the best all-around lineups in the sport, which will certainly present challenges for the Rockies revamped, new-look pitching staff. The Nats offense as a whole is hitting .273 which leads the NL. Washington also ranks top-5 in runs (2nd), hits (2nd), RBI’s (3rd) in the NL. The National’s offense has been hot, but their pitching has been steady as well. They’ve allowed the third fewest earned runs in the NL and are continuously one of the most consistent and reliable staffs in the game. As it stands, the National’s will easily be the best team the Rockies will have faced this season. Equipped with some of the best talent in the National League, the rox newfound success in the pitching staff and throughout the lineup will be put to the test.